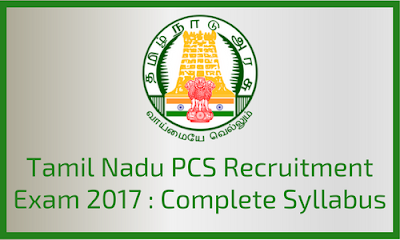 Hi Readers, Here is the complete syllabus for Tamil Nadu PCS Recruitment Exam for various posts. Natural calamities – Disaster Management. Logical Reasoning -Puzzles-Dice-Visual Reasoning-Alpha numeric Reasoning-Number Series.